Cuyahoga Community College’s Pre-Apprenticeship Training (PAT) program exposes students to the multicraft industrial trades. 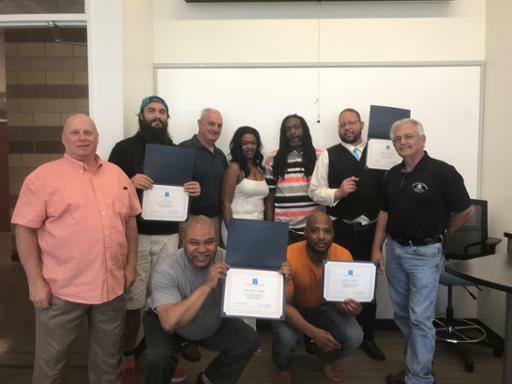 In partnership with the Cleveland Building & Construction Trades Council, this fast-track program connects talented, well-prepared students with local employers offering sustainable career opportunities within the construction industry. The eight-week PAT program features career exploration and hands-on labs in addition to classroom instruction that integrates basic reading and math with technical knowledge and industry-specific terminology. Networking opportunities for PAT students include training site visits, guest speakers and employer site visits.